The Ultimate Fighting Championship has released the official poster for UFC on FOX 24 which takes place next month in Kansas City. 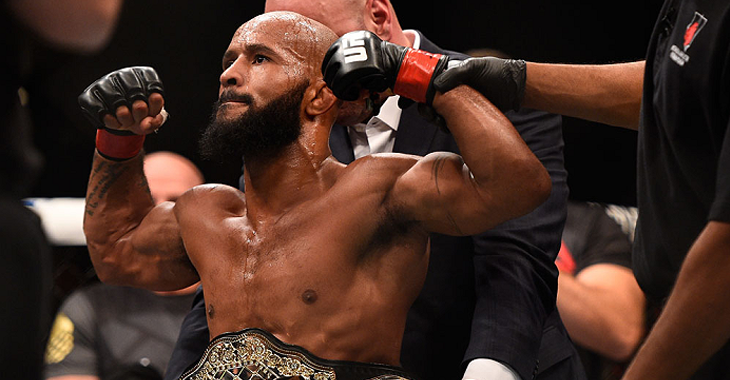 The April 15 fight card is headlined by a flyweight title fight featuring current division champion Demetrious “Mighty Mouse” Johnson taking on surging contender Wilson Reis. 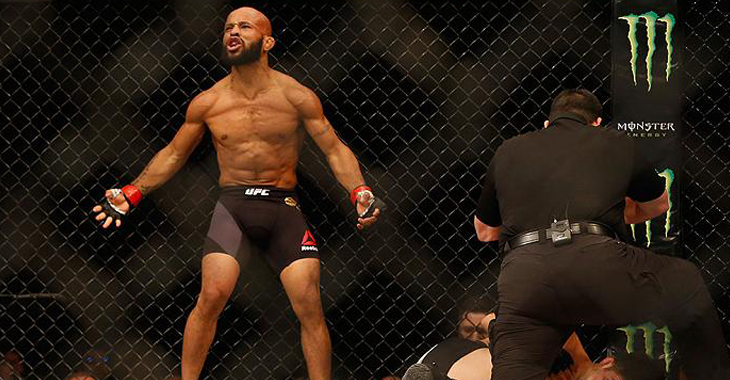 “Mighty Mouse” was last seen in action this past December where he scored a unanimous decision victory over “TUF” winner Tim Elliot. The victory served as Johnson’s 11th in a row and ninth-straight title defence. 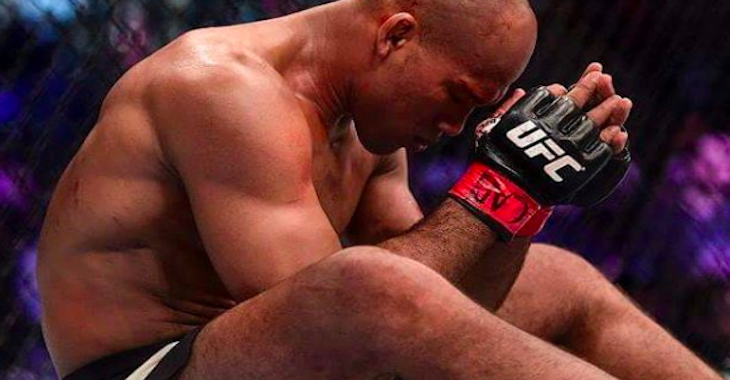 Meanwhile, Wilson Reis is currently riding a three fight win streak, his latest being a decision victory over Ulka Sasaki at UFC 208 in February. 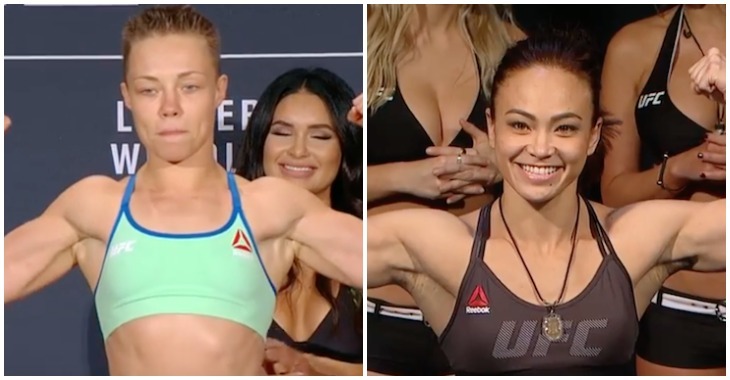 In the evening’s co-main event slot, top ranked strawweights Michelle Waterson and Rose Namajunas will do battle with the winner getting one step closer to a shot at UFC gold. Michelle Waterson was last seen inside the octagon in December where she scored a first-round submission victory over Paige VanZant. As for “Thug Rose”, Namajunas was most recently seen in action at July’s UFC 201 event in Atlanta where she suffered a decision loss to recent title challenger Karolina Kowalkiewicz. Prior to the setback, Rose had earned a decision victory over Tecia Torres. 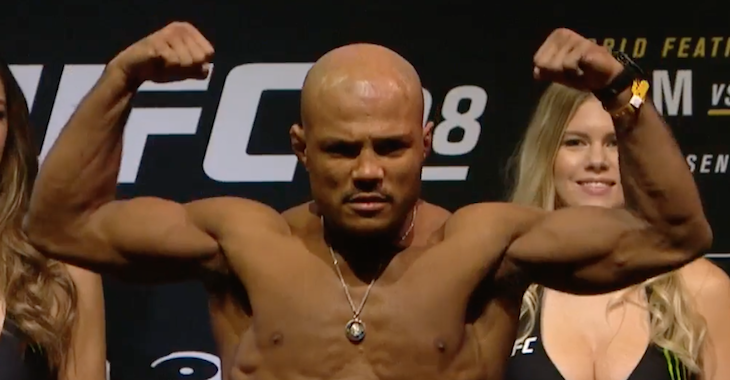 Also on the card is a key middleweight scrap between perennial contenders Ronaldo “Jacare” Souza and king on surging contender Robert Whittaker. 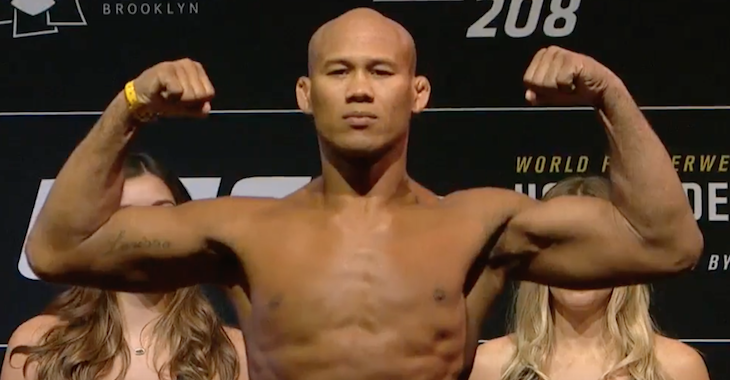 “Jacare” has won ten of his last eleven fights, his latest being a submission victory over Tim Boetsch at UFC 208 last month. 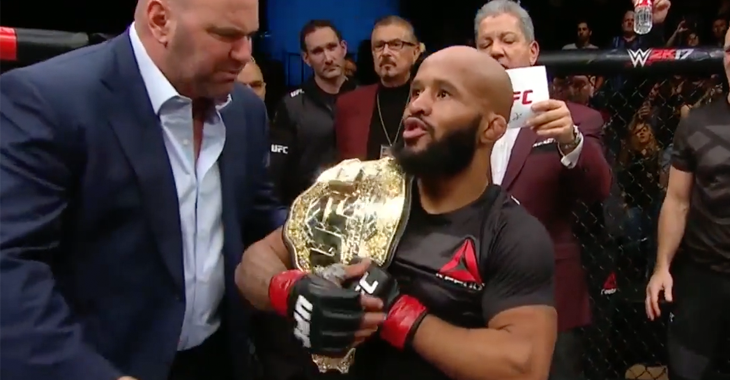 The Brazilian’s lone loss in that time came via split-decision to top contender Yoel Romero. Meanwhile, Robert Whittaker has won six fights in a row, his latest effort being a knockout victory over Derek Brunson this past November in Melbourne. Which UFC on FOX 24 bout are you most excited for? Sound off PENN Nation!